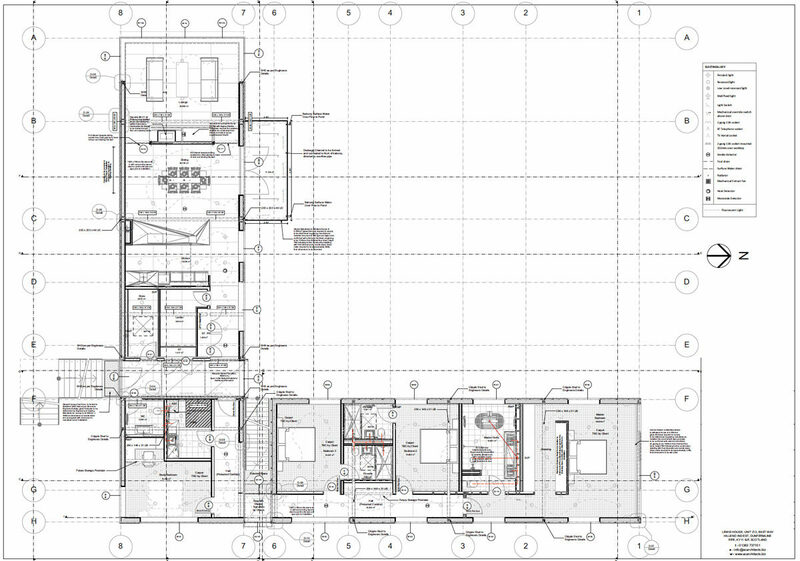 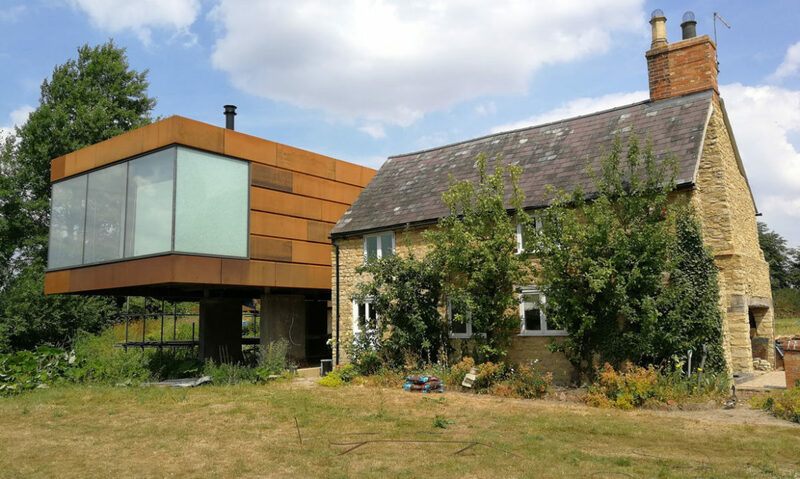 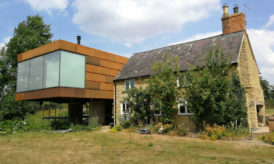 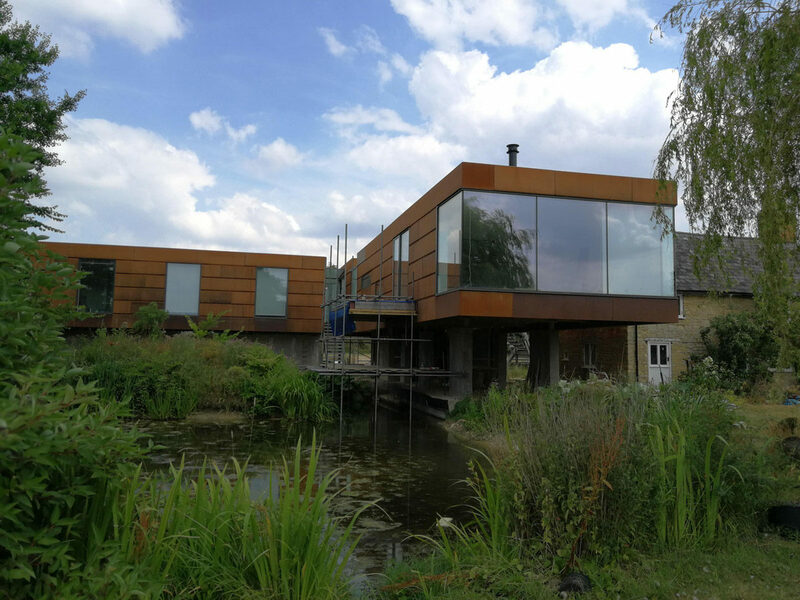 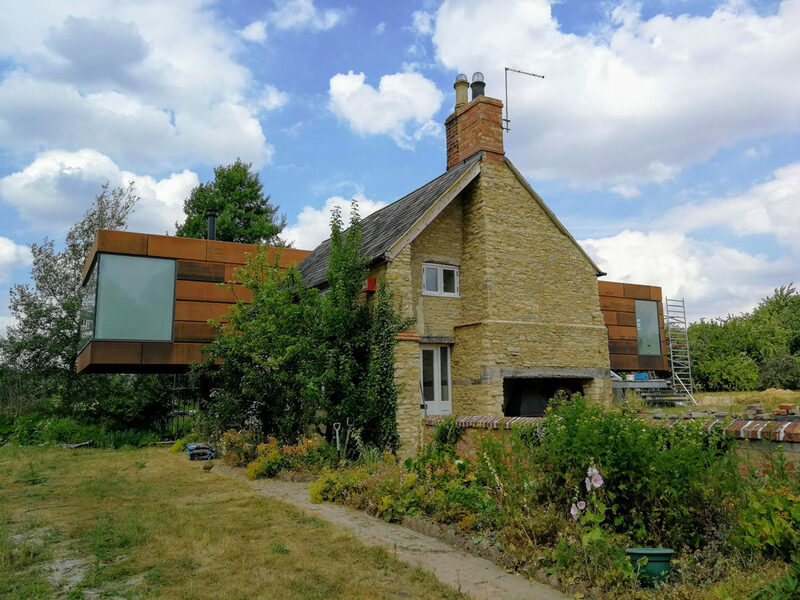 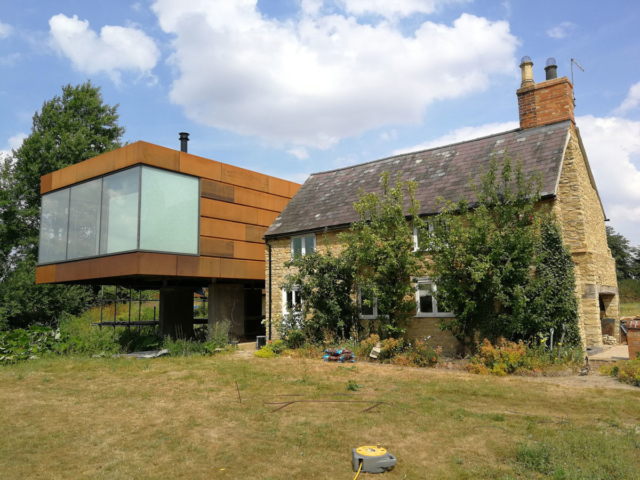 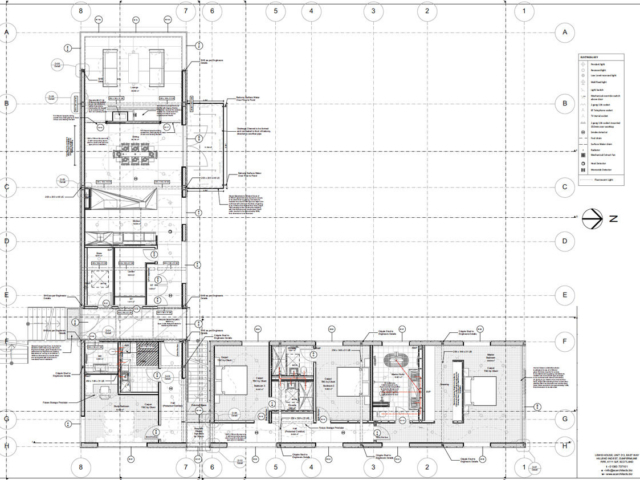 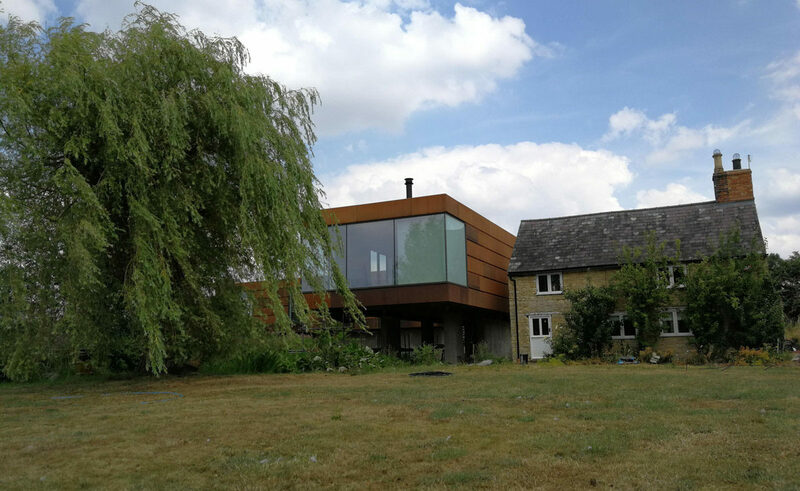 ACA were appointed in 2015 to provide the detailed design for a stunning contemporary home in North Bedfordshire, designed originally by Nicolas Tye Architects. 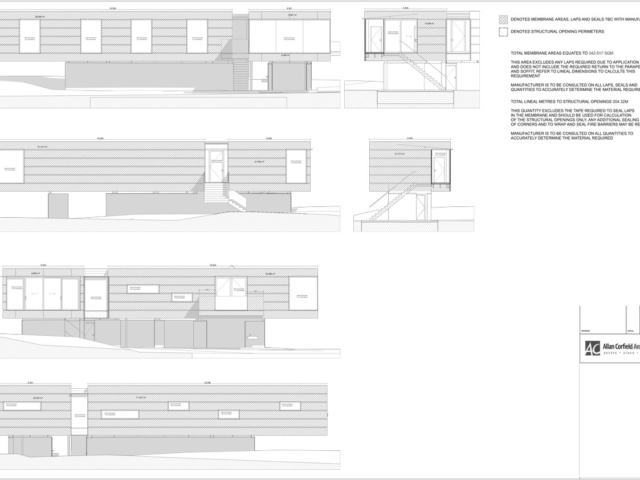 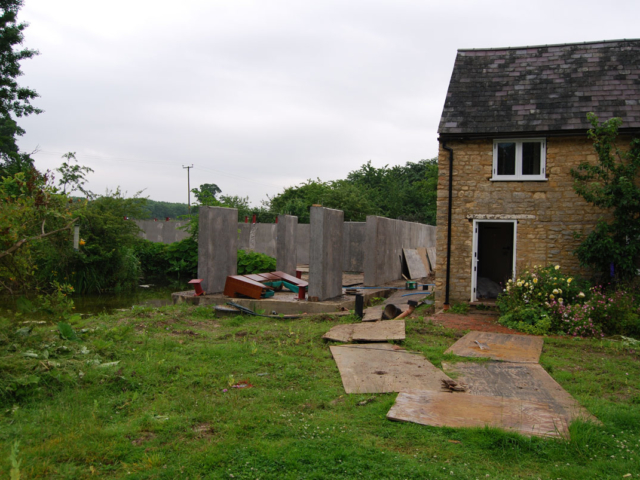 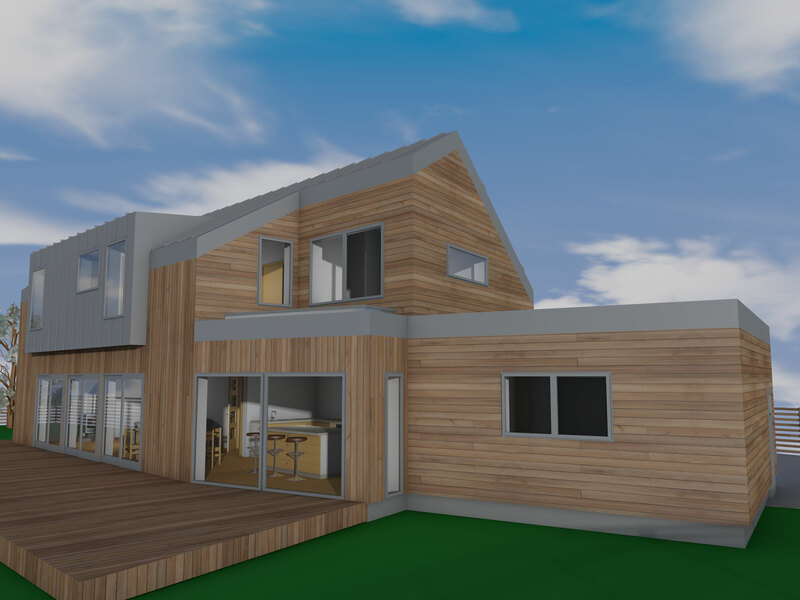 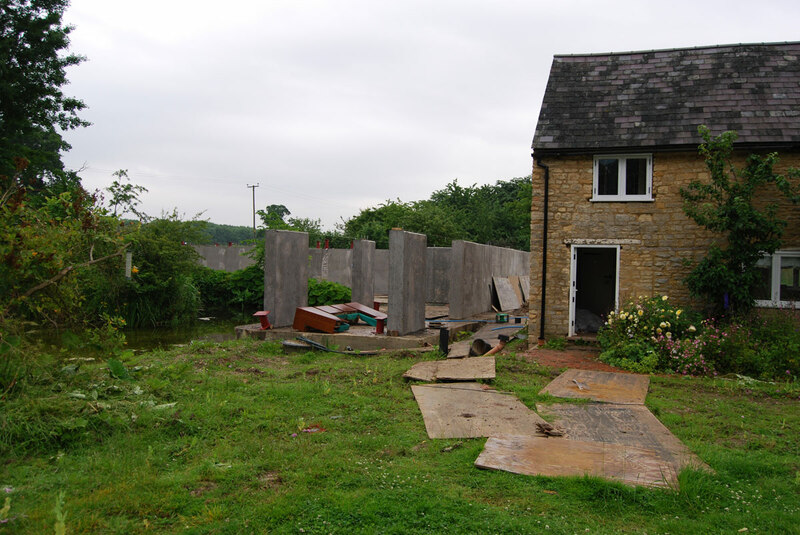 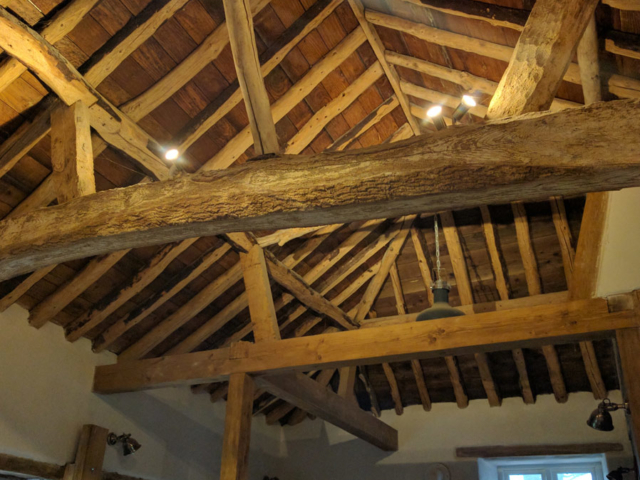 The house has been designed to link with a grade 2 listed cottage and provide a striking L shaped floating extension. 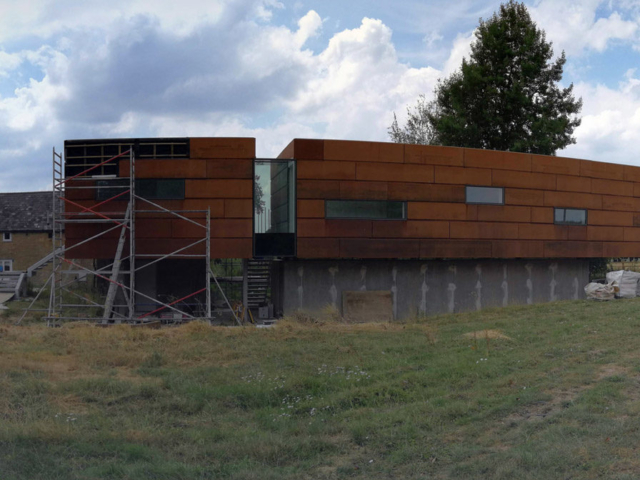 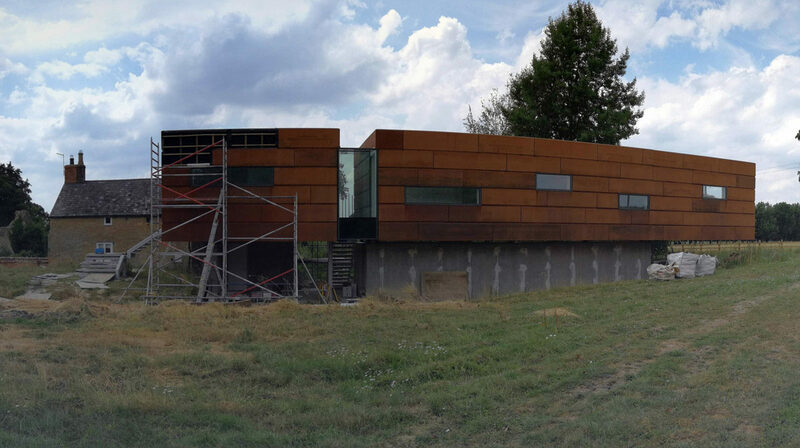 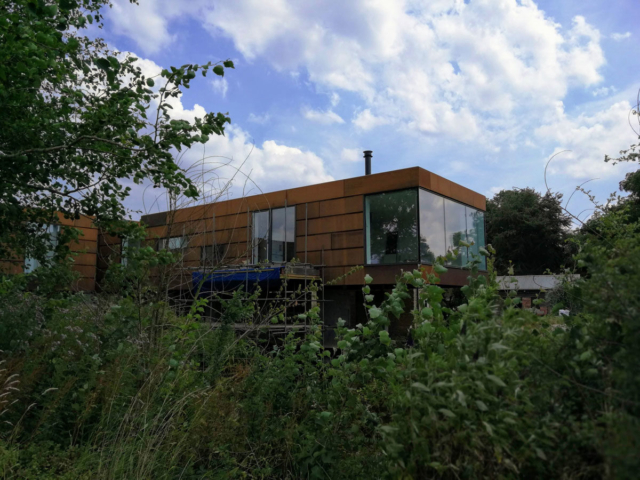 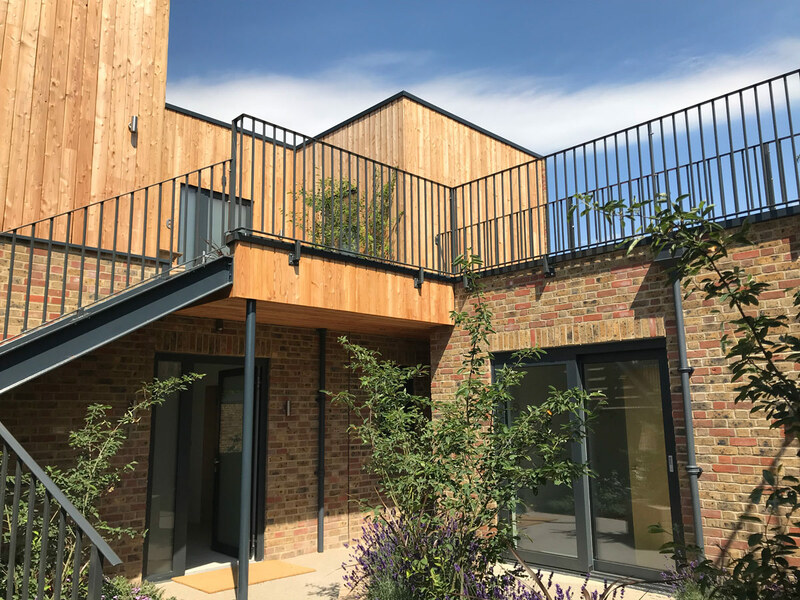 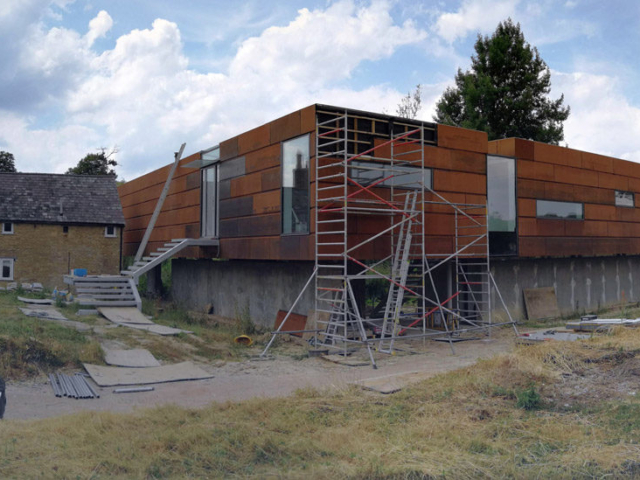 The 4 bedroom flat roofed new building is finished in weathered Corten Steel, which gives the floating like structure a distinctive bold look. 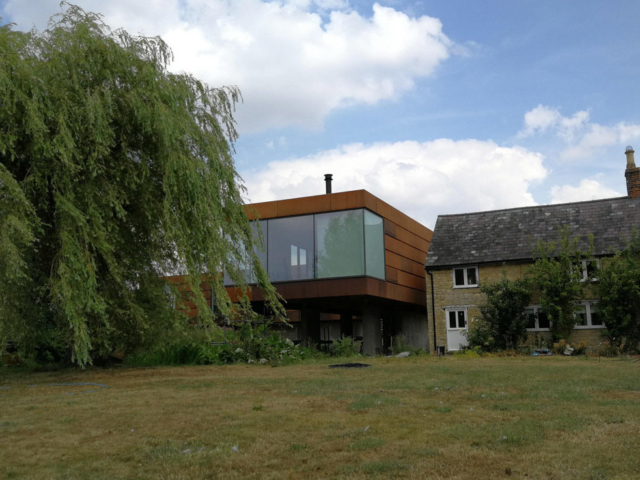 The main volume of the home sits on the first floor, over a reduced ground floor plan, giving the house a crisp monolithic cantilevered feel. The house is set around an existing pond, with part of the building hanging over the water. 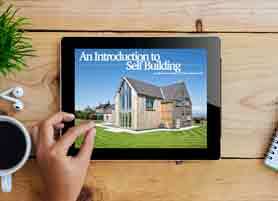 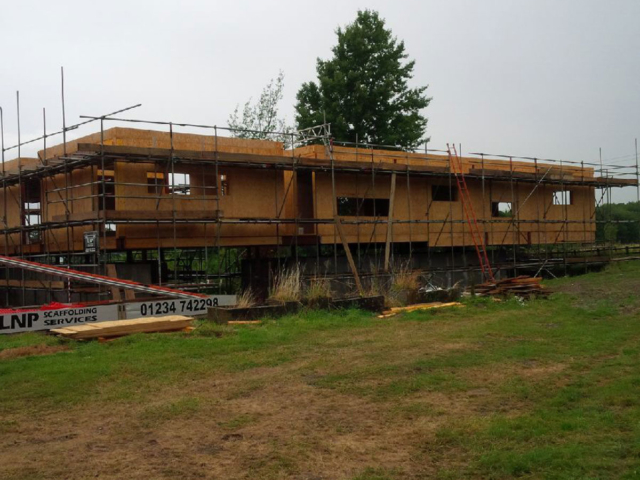 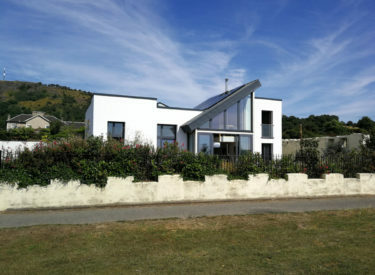 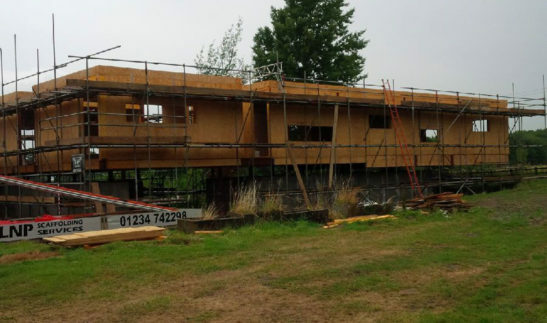 The house features a steel frame, encapsulated with high performance SIPS panels and huge triple glazed windows. 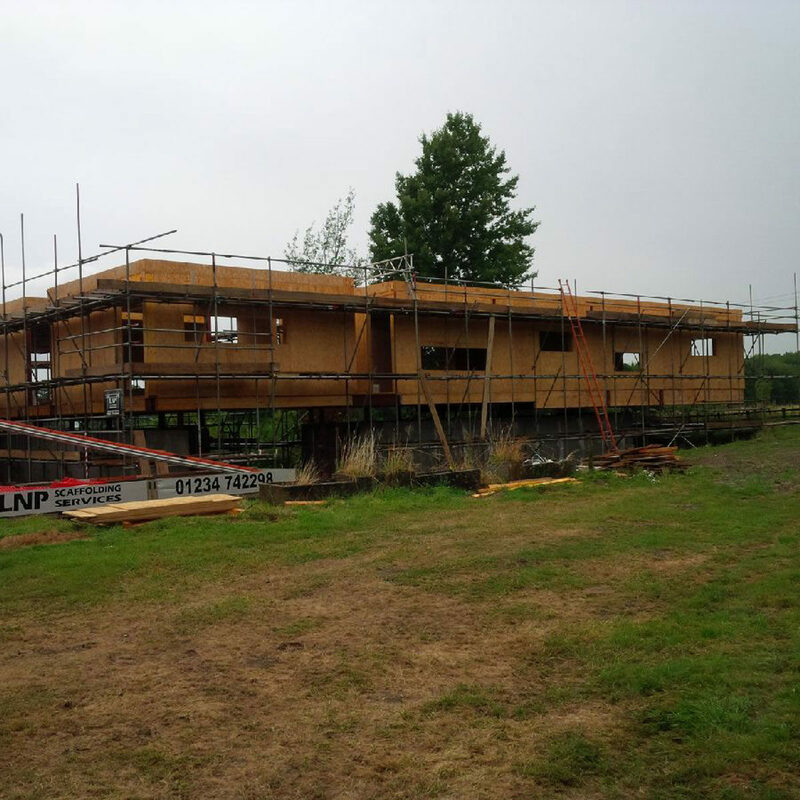 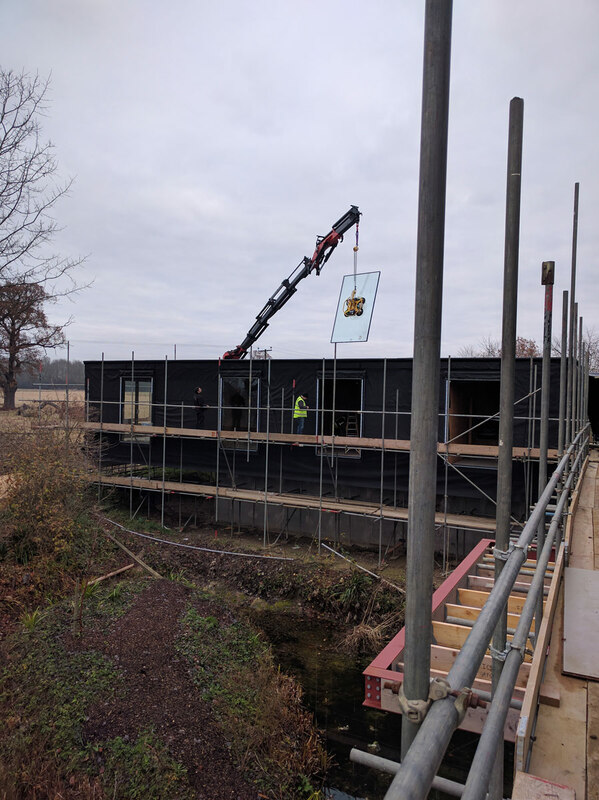 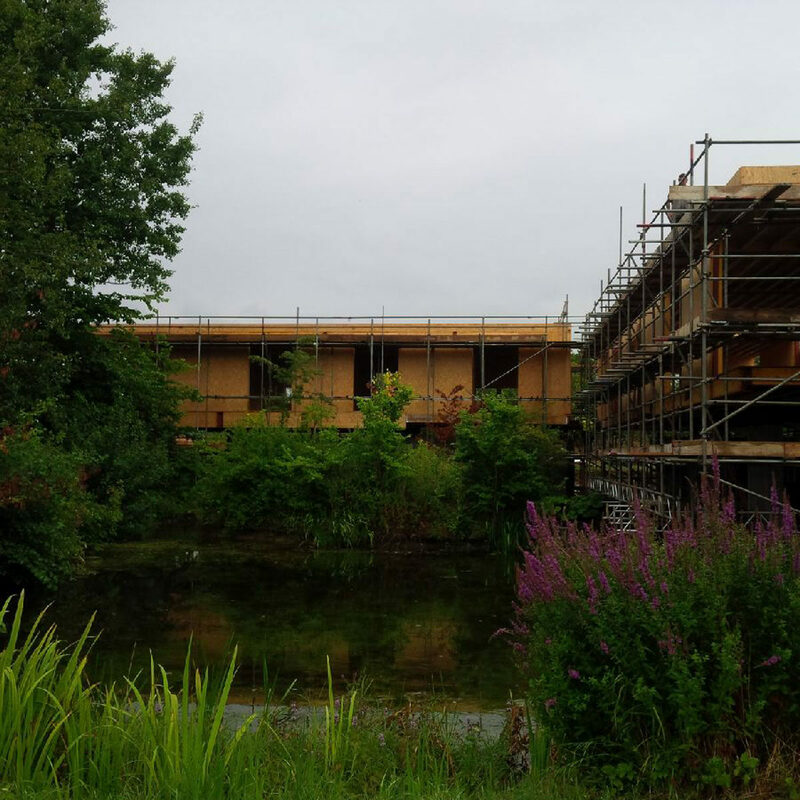 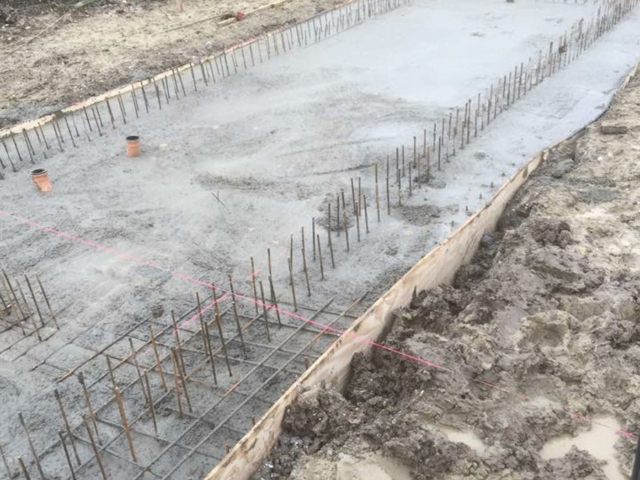 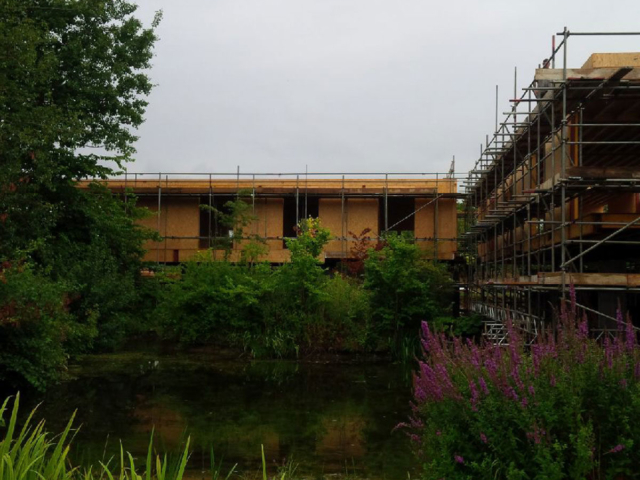 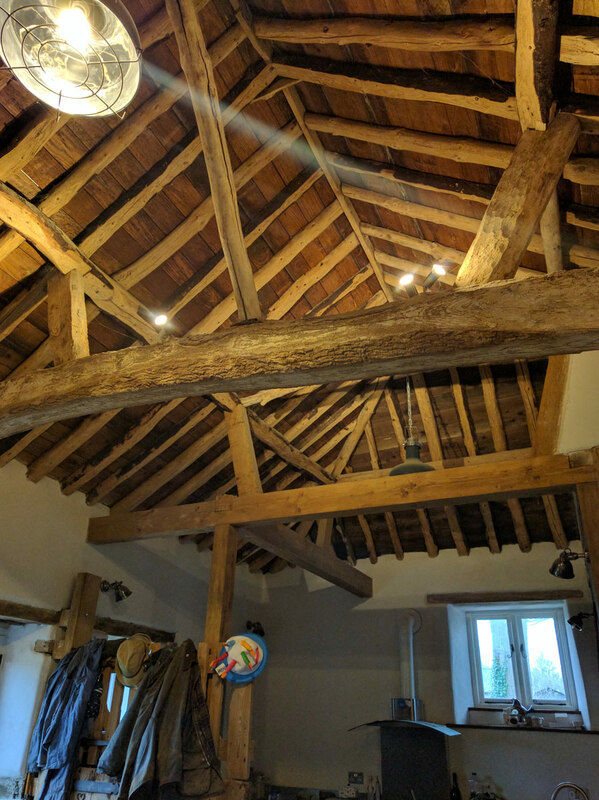 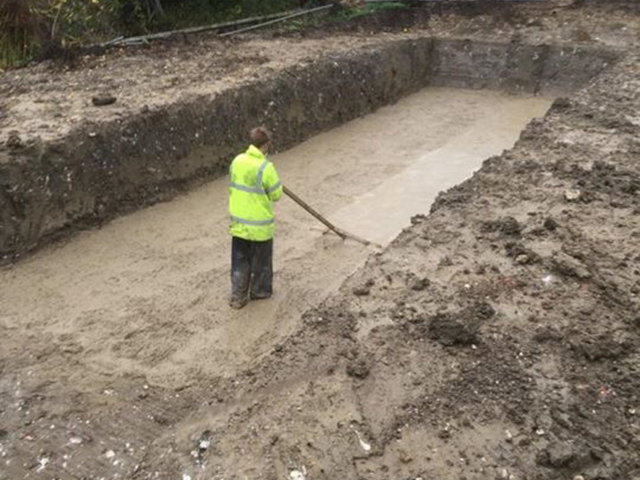 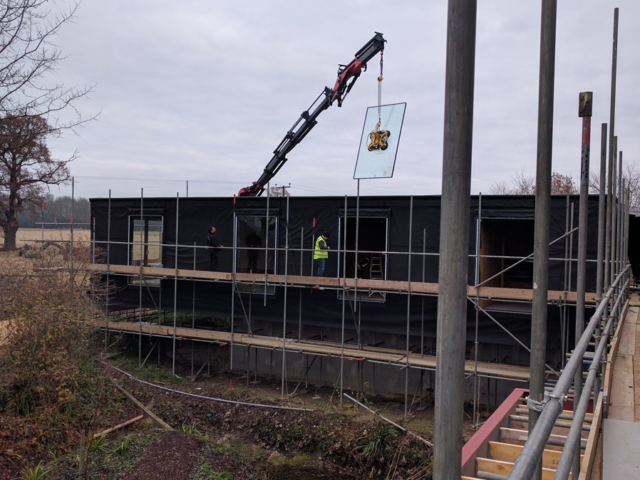 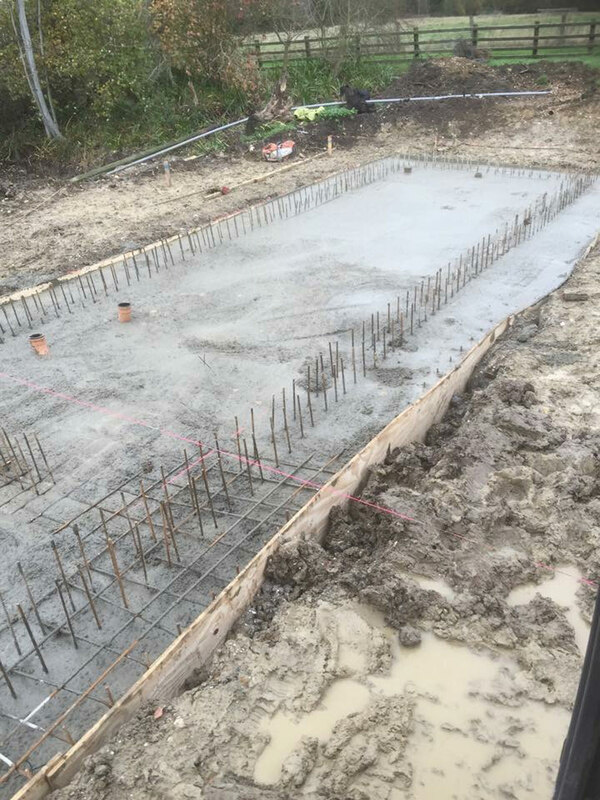 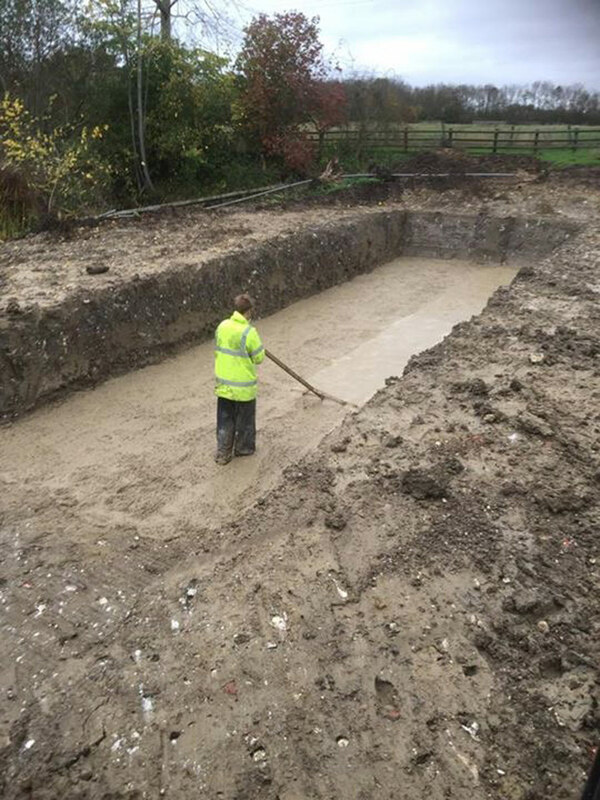 The house is due for completion in early 2019.